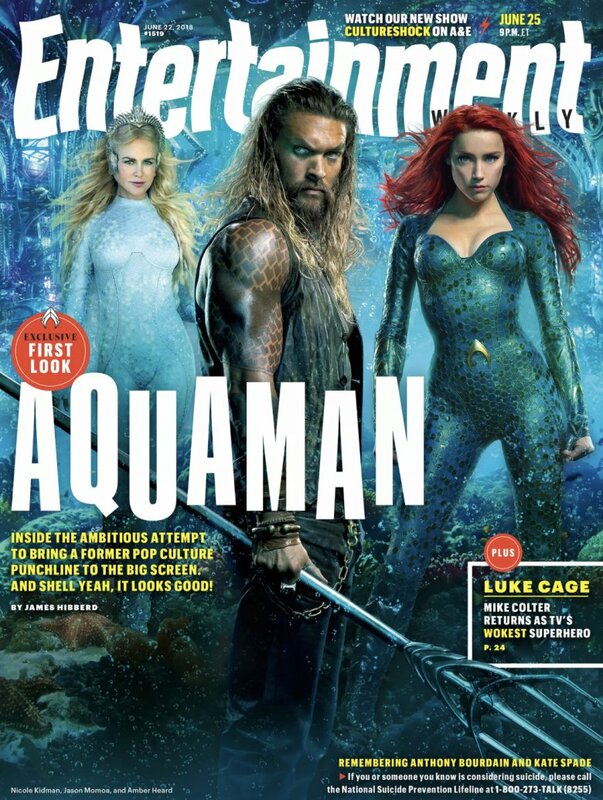 Aquaman and his two best gals have graced the cover of Entertainment Weekly for the magazine's exclusive story all about the upcoming DC film Aquaman. 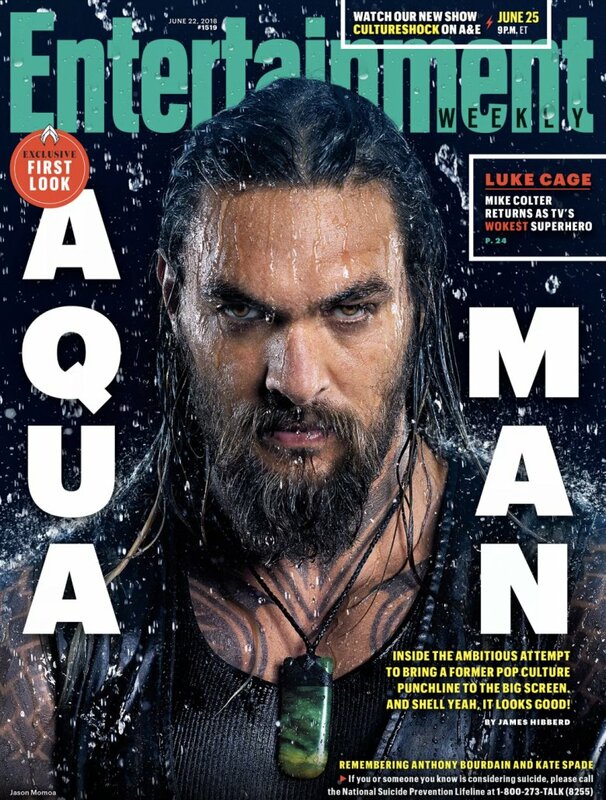 Lead actor Jason Momoa, who portrays the ruler of the underwater kingdom of Atlantis himself, giving off a skin-splitting smolder as buckets of rain fall over his head in the primary EW cover is sure to spark the interests of a fair few readers, but it's the second cover that's the real attention-grabber. The snap, shown at the bottom of this article, unveils the first look at Nicole Kidman as Queen Atlanna, an Atlantean who met and fell in love with human lighthouse keeper Tom Curry. Together, they had a son — Arthur Curry, better known as Aquaman. In the DC Comics canon, Atlanna has an interesting, ever-changing backstory. She's been portrayed in a few different ways: as an outcast due to her blonde hair, a shade so rare for those who dwell underwater, it's considered a bad omen; the queen of Atlantis who was shunned after her fellow people learned she had a son (who also has golden locks) with a human; a scientist Tom Curry rescued; and aquatic royalty that abandoned Tom and Arthur because of the responsibilities she had to tend to below the surface of the sea. She has historically ended up dying before seeing Aquman in his adulthood, but managed to witness him in his later years at least once. 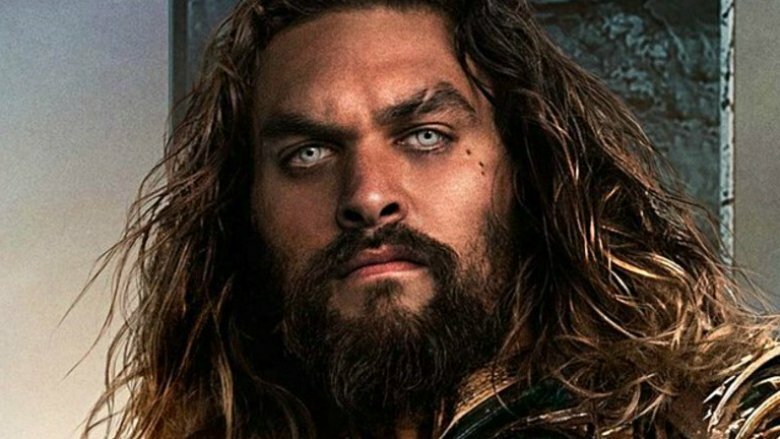 The current mythology, in the comic storylines unraveled after 2011, pits Atlanna and Aquaman against one another in a war for the underwater kingdom (via The Hollywood Reporter). Doing what everyone has told us not to do and actually judging something based off a literal cover, it seems that since Kidman's Queen Atlanna is alive and Momoa's Aquaman is in his adulthood, the forthcoming film might root its story in a newer plot seen in the Aquaman comics canon. The second of the two EW covers features Amber Heard as Mera as well, standing to the right of Kidman's Atlanna. It's a reveal slightly less exciting than Kidman's, though, since fans have already seen the actress in her shimmering green suit and bright red wig once before. Director James Wan (The Conjuring, Insidious, Furious 7) corrals Kidman, Momoa, and Heard — plus Patrick Wilson as Orm, Willem Dafoe as Nuidis Vulko, Temuera Morrison as Tom Curry, Dolph Lundgren as King Nereus, Yahya Abdul-Mateen II as Black Manta, and Ludi Lin as Murk — for the flick that he promises is "so separate and so far apart from previous DC movies … a whole new underwater world nobody has seen before in live action." Catch Aquaman in theaters on December 21.